幽默英語小品-I Am In Shape. 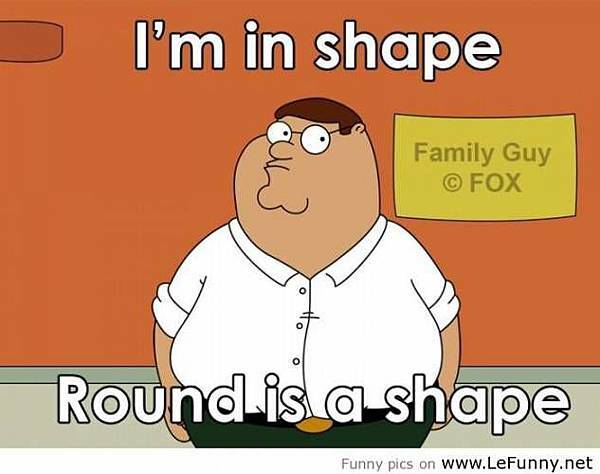 Round Is A Shape. The term "in shape" is often used to suggest that something or someone is in a positive overall condition. If a person is overweight and eventually loses a few pounds or kilograms. That person might say that he’s in better shape or good shape. If you can perform the sport well, you are considered in shape. If someone owns a car, and it has no serious mechanical troubles, he might say that it’s in good shape, or if it’s nearly perfect, he might even say that it’s in "great" shape.